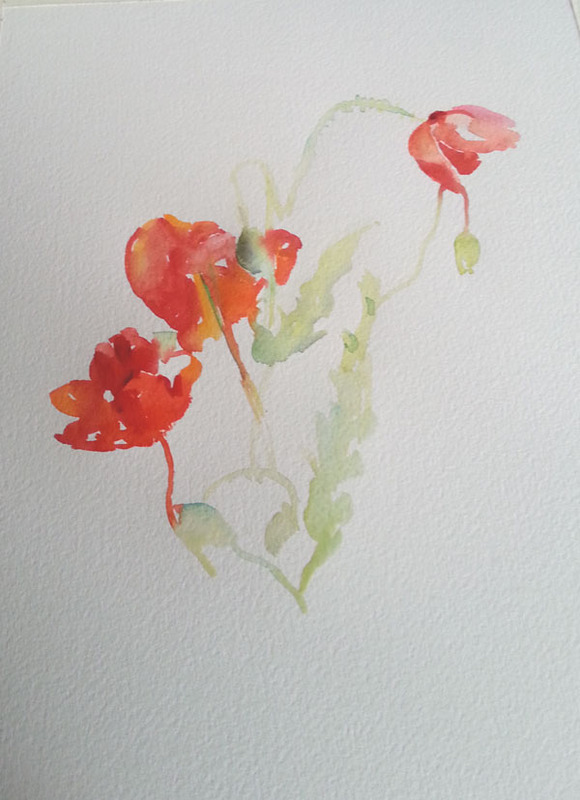 Spanish Poppies are one of my favorite wild flowers. They are of a deep saturated cadmium red in the shade and bright orange in the transparency of the light. The wind blows the fragile petals back and forth, contrasting bright orange with ruby-red, flickering so vividly beautiful under the sun. 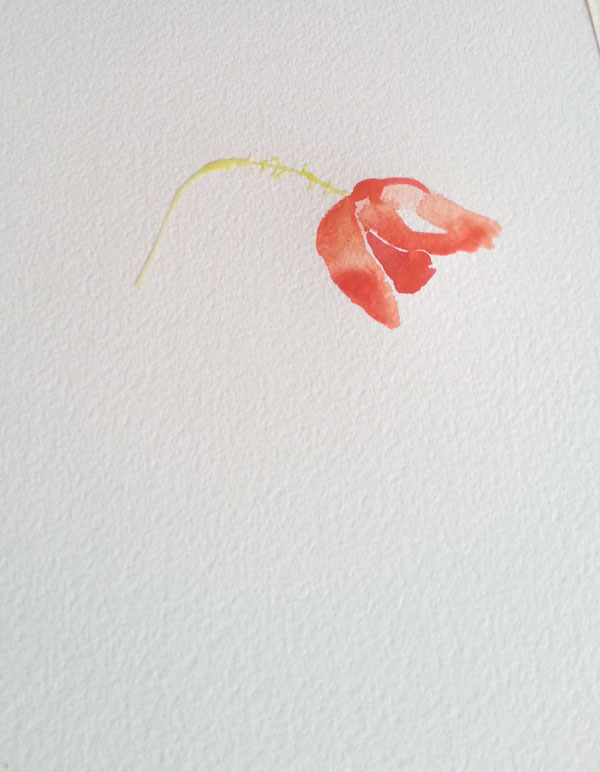 First I started with the tallest area and measured the rest of the poppies to that one. I estimate the distance between the flowers and paint the color, shape and tone directly as a finished stroke of the paintbrush. Painting into them again will make the flowers hard looking. 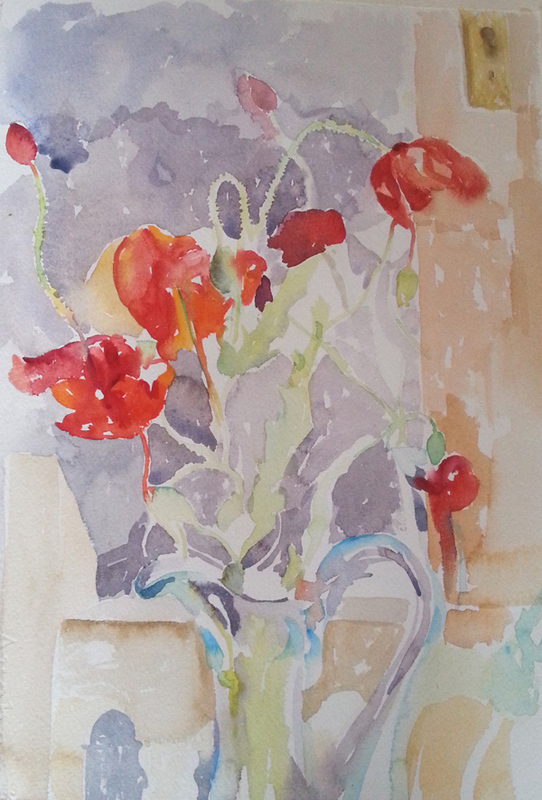 Once I paint the poppies in a direct manner, this conditions me to do the same with the vase. 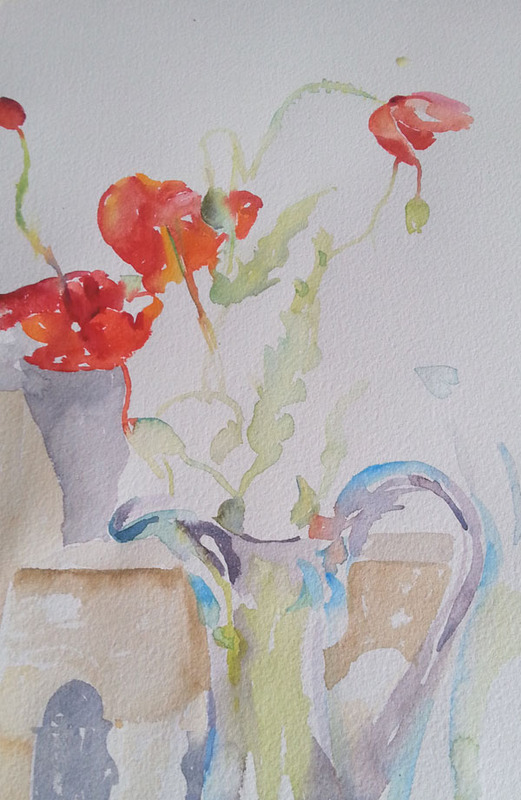 In watercolor, I try to treat everything in the same way from start to finish. I don’t forget about the background, that’s just as important as the foreground. I also estimate where everything goes on the picture plane and try to get it in one shot. I’m only painting in areas where I haven’t painted yet, covering the white of the paper and respecting the light colors. 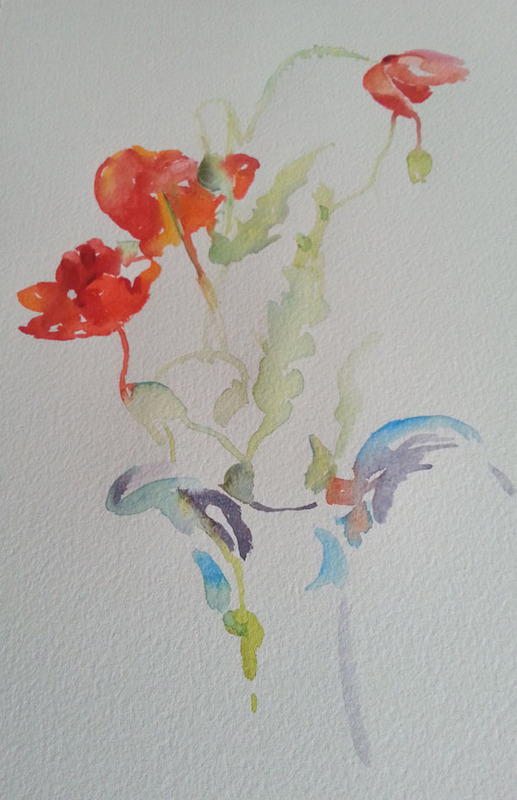 This entry was posted in The Watercolor Art Making Process and tagged Spanish Poppies, Victoria Olson O'Donnell, watercolor in process. Bookmark the permalink. I love your colors and the feel of your work. Always fresh, bright and beautiful. Thanks for sharing your process with us! Thanks createarteveryday! The wild flowers are so incredible over here in Madrid. 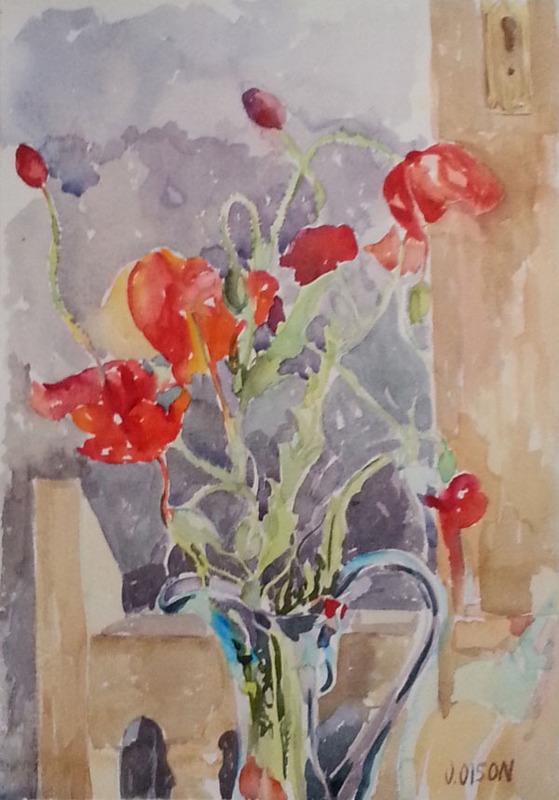 I hope I can paint more before the poppie season ends.